3 Bedroom Semi Detached House For Sale in Devon for £318,950. Home 1- The Dudley - SEA VIEWS! A light and airy 3 bedroom semi detached home, offering generous open plan living, 3 good sized bedrooms, en suite and family bathroom. Single garage, parking and garden. Help to Buy available. Property anticipated to be ready Summer 2019. 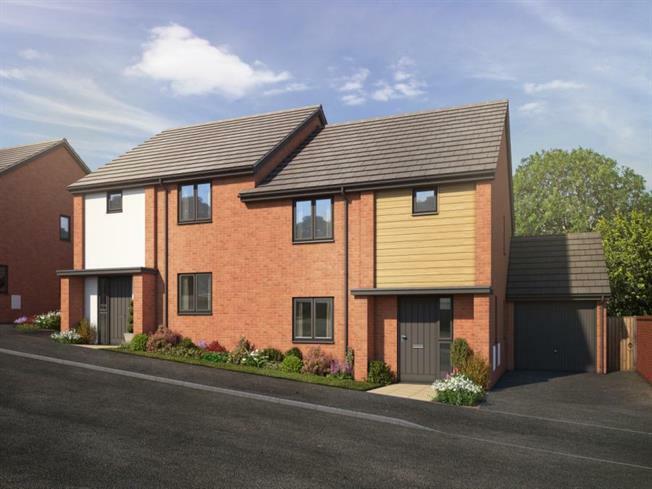 Gardiners Meadow is an exciting new development, offering a collection of just 15 new 3 and 4 bedroom homes, set within a countryside location on the outskirts of the coastal town of Seaton, Devon. A range of thoughtfully designed, light and airy houses and chalet bungalows. Built to a high specification, and with energy efficiency and thoughtful design in mind, these homes will be modern living at it's best!